LOVE's Haven: H&M Opens in Cagayan de Oro! 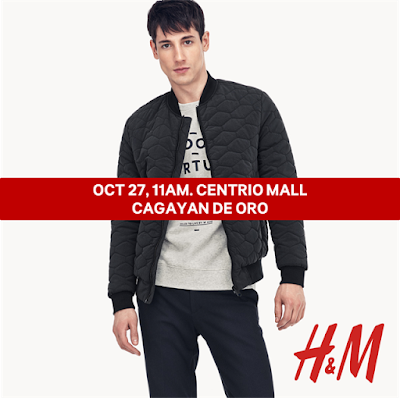 H&M Opens in Cagayan de Oro! Those shopping on opening day can also expect great offers! Gift cards of varying amounts from P300-P2,000 will be handed out to the first 300 in line, with a special prize of P5,000 for the first. The next 300 will walk away with special H&M umbrellas and tote bags. A special treat also awaits stylish shoppers – 3 of the most fashionable people spotted in the queue before opening will be chosen and given P2,000 Gift Cards each. For everyone else shopping until the weekend, great fashion finds for as low as P300 await.